Anup Chandran, a bank employee, had gone to attend his friend’s birthday party at the Tryst club. 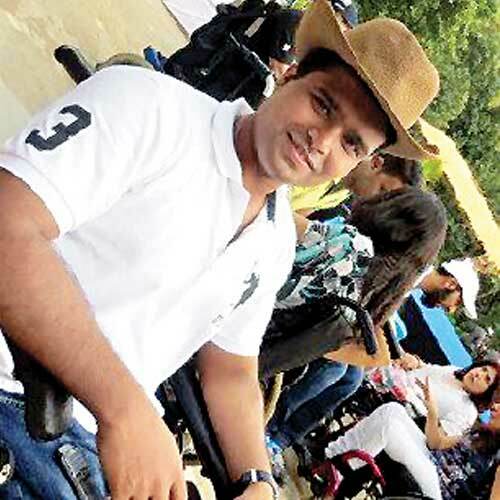 In an incident which highlights insensitivity towards physically-challenged people, a 30-year-old Bandra resident was refused entry to a posh night club at Lower Parel, only because he was on a wheelchair. The incident happened on January 3 when Anup Chandran, a bank employee, had gone to attend his friend’s birthday party at the Tryst club. He was denied entry by the club, saying it was against their policy. “Eleven of us had booked a table at the club to celebrate Manali Kadne’s birthday. Around 11.45pm when I went there, the staffers refused to let me in. I was told that the club does not allow wheelchair users. They said they would lift me out of the wheelchair and put me in a seat inside, but my wheelchair would not be allowed inside. It was really embarrassing for me as half of my friends were already inside. I had to call my friends out and ask them to change the venue,” said Chandran, who had lost his legs in a car crash nine years ago. Tryst’s floor manager Akhil Shah said, “It was our management’s call. He could have occupied more space with the wheelchair and disturbed other guests.” But Chandran said that was the first time he had experienced such inhuman treatment. “Before this, wherever I had gone, people were extra courteous and helpful. The way I was treated at Tryst shocked me,” he said. Legal experts have opined that the club administration had committed a blunder by denying entry to Chandran. Advocate Jamshed Mistry said, “A night club is supposed to be a public place for amusement. There is no question of stopping someone on the ground of being on a wheelchair. When his (Chandran) friends had booked a table and had paid for his entry, then the club had no rights to stop him. It was wrong on the part of the staff to suggest that they lift him. If Chandran wants, he can lodge a complaint with the office of the chief commissioner for persons with disabilities against the discrimination meted out to him.